First of all you have to cut each lemon halfway through and Nowstuff with salt and turmeric powder and put in an airtight jar for one month. The lemons will leave some water and drain it and cut each lemon into four pieces. In the water mix asafoetida powder, red chili pepper and sugar and pour over the lemons in the jar and cork tightly. This pickle can keep for two years and now your Gujarat lemon pickle is ready to use. 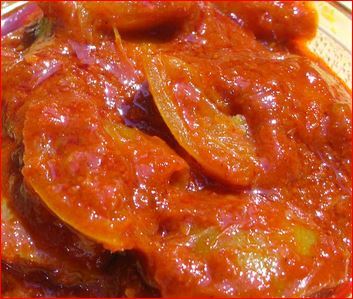 How to Make Stuffed Capsicum Recipe? भरवां कैप्सिकम कैसे बनाएं? Recipe-How to Make Makhana Kheer Recipe?